Every day, 29 people die in an alcohol-related car accident in the United States. The CDC estimates that alcohol-related collisions cost more than $44 billion each year. Although impaired driving is most commonly associated with alcohol consumption, drugs also affect your ability to drive safely. Here’s what people don’t know about impaired driving. Alcohol-impaired car accidents accounted for 28% of all traffic-related deaths in 2016. That same year, 1,223 children between the ages of 0 and 14 were killed in alcohol-related accidents. More than 1 million people were arrested for driving under the influence of narcotics or alcohol in 2016. Drugs are involved in 16% of motor vehicle crashes. Among nighttime and weekend drivers, 13% have marijuana in their systems. Marijuana users were 25% more likely to be involved in a car accident than non-marijuana users. Accidents involving commercial trucks are more likely to be severe or fatal. When drug impaired truckers get behind the wheel, the risk is even greater and the consequences of accidents can be deadly. Studies have shown that drug use among commercial truckers is at its highest level since 2009. In 2017, about 107,000 truckers failed drug tests. Marijuana is the most common drug among truckers, with 44,388 testing positive for cannabis in 2017. Amphetamines is the second most common drug: 35,421 truckers failed drug tests due to the drug in 2017. Cocaine is the third most common drug, with 14,939 testing positive for cocaine use last year. Cocaine and amphetamines act as stimulants to keep truckers awake, but they affect reaction time and distance perception. They can also cause hallucinations, agitation and vertigo. More than a dozen states have legalized marijuana in some way. Canada broadly legalized marijuana for recreational use this year. Officials fear that the legalization of the drug may lead to higher rates of impaired driving. In 2006, 30% of drivers who died in car accidents tested positive for drugs, according to the National Transportation Safety Board. That number jumped to 46% in 2015. In random roadside tests, more than 22% of drivers tested showed evidence of drug use. 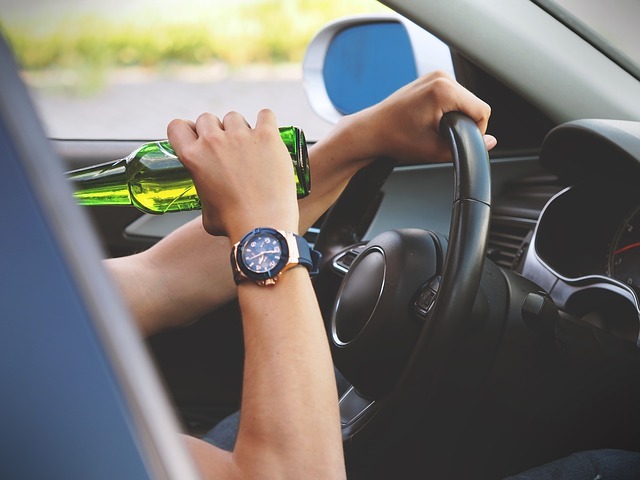 The legal limit for drunk driving in all 50 states is a blood alcohol concentration (BAC) of 0.08, but your reaction time and coordination can be affected well before you reach this limit. Even with a BAC of 0.02, you experience some loss of judgment, a decline in visual functions and are less able to perform two tasks at a time. At a BAC of 0.08, you have poor muscle coordination, impaired reaction time, and lose your reasoning ability. It’s important to remember that people are more sensitive to alcohol than others. Some people may show signs of impairment at a BAC of 0.02, while others may be able to handle more alcohol without being impaired. But it’s never a good idea to drink and get behind the wheel – even if you have a “high tolerance” for alcohol.